A special note with a BIG Thankyou to the members who have taken out extended memberships as this helped us enormously in getting over the line in the purchase of the Gowar property. December members meeting will be held out on the Gowar property on the Castlemaine Maldon Road with a Picnic tea. Commencing at 7pm. Please contact info@castlemainehotrodcentrecom.au or phone Vicki on 041850352 with numbers attending. 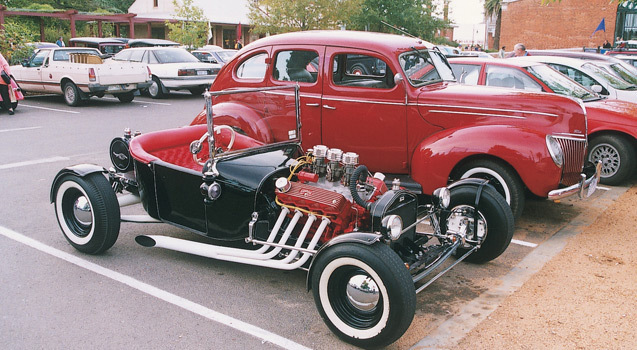 The Castlemaine Hot Rod Centre Ltd is a ‘not for profit’ company therefore your fees help us with administration expenses. For example – visits to garages and workshops that you would not normally get to see.